PrintingCenterUSA.com is rated #1 for fast easy online, short run book printing services. We are your industry leader for affordable small quantity saddle-stitched books of 10 to 3,000. We have put in state of the art short run digital and offset book printing and binding equipment. Our short run 7600 HP digital printing press is untouchable. It will print and saddle-stitch 10 to 1,000 booklets in no time. Our Heidelberg SM52 Anicolor offset press can’t be beat when coupled with our Standard Horizon Booklet Maker for high quality and fast service for printing and binding short run books. Our color offset booklets becomes cheaper than digital printing for quantities over 1,000 printed books. The larger the quantity, the cheaper the price per booklet gets. Production and setup costs are minimal, allowing you to get your booklets quickly and in a cost-efficient method + a Satisfaction Guarantee. Check out our cheap printing prices or get a custom printing quote. Order now and find out for yourself. 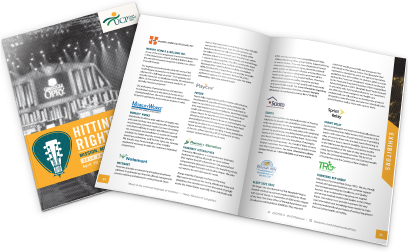 When developing a brand and establishing a company as a thought leader in a specific industry, short run booklet printing is an especially effective marketing tool. Businesses can use short run color offset booklet printing as white papers to educate consumers or as mini-catalogs with a specific selection of products. Sometimes, organizations could need a quick batch of booklets for an upcoming trade show or they may simply serve a small number of clients. For these businesses short run booklet printing is often the best solution. Production costs and setup for short run booklets are minimal, allowing companies to get their booklets quickly and in a cost-efficient method. Additionally, short run booklets are beneficial to small businesses as it enables them to produce the exact number of pamphlets they need. This cuts back on wasted materials and also helps companies preserve storage space for other business essentials. PrintingCenterUSA can provide companies with a number of solutions to their short run book printing challenges. We have the best online printing prices for quantities between 10 and 3,000. Give us a call at 800-995-1555. Create a one of a kind booklet with our online photo design tool. Customize your calendar however you want! Professional quality soft cover, saddle-stitch bound, 8.5 x 11 and 5.5 x 8.5 bookletsand calendars are printed in vivid full color with vibrant color photos on 100# gloss or matte text and 80#, 100# or 12Pt gloss or matte cover paper which can be UV coated to give that luxurious high gloss finish. They are very durable and will set your school apart by making a positive and long lasting first impression. We offer fast, easy ordering, design options and affordable printing prices for quantities of 10 to 3,000.